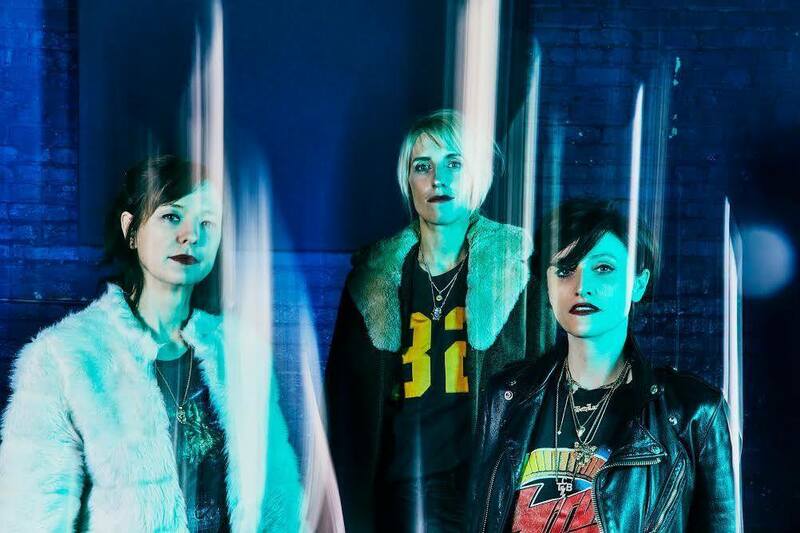 In the five years since Ex Hex released their debut album, it’s been hard to locate any rock record that rips quite like, well, Rips. Over the past few years, lead singer and former Boston baddie Mary Timony indulged in her solo project, while bassist Betsy Wright introduced the world to her new killer duo Bat Fangs, but after some time apart in the studio, the Washington D.C. trio have finally reconvened. Their new single “Cosmic Cave” is a rock rager in its own right, and the group’s sophomore LP It’s Real will drop on March 22 via Merge. The announcement also came with a smattering of North American and UK tour dates with the likes of Japanese Breakfast, Moaning, Feels, and The Messthetics. There’s no Massachusetts date on the roster — yet — and the group’s only stop in New England is a gig in Portsmouth, New Hampshire at The Press Room on April 5. Tickets go on sale this Friday (January 11) at 10 a.m.
Peep the full list — and the long-awaited single — below. Featured photo by Michael Lavine via Facebook.